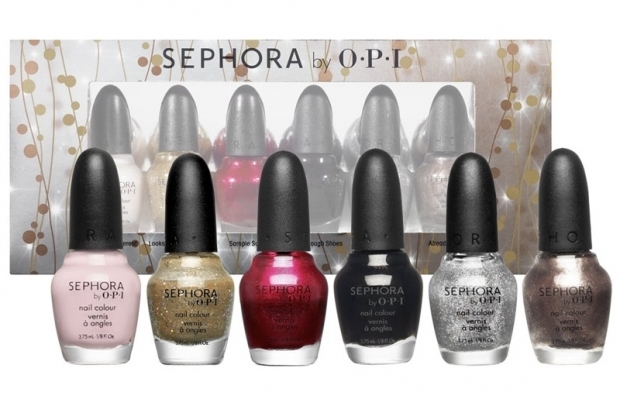 Sephora by OPI Glimmer Wonderland Mini Nail Color Set. 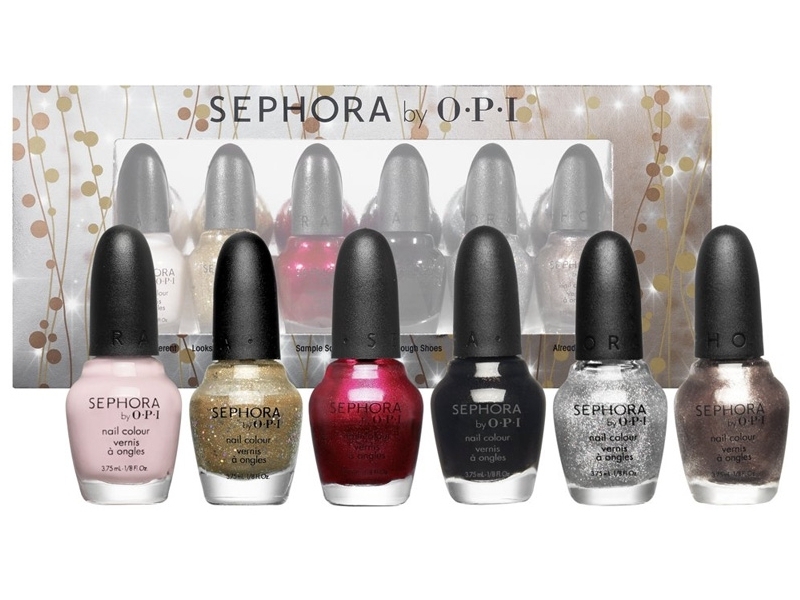 OPI has created a gorgeous 18 piece mini nail polish collection exclusively for Sephora by OPI, titled Glimmer Wonderland, a collection that will surely enchant your eyes and make your mani-pedi look enviable. Check out the amazing hues and pick your favorites! 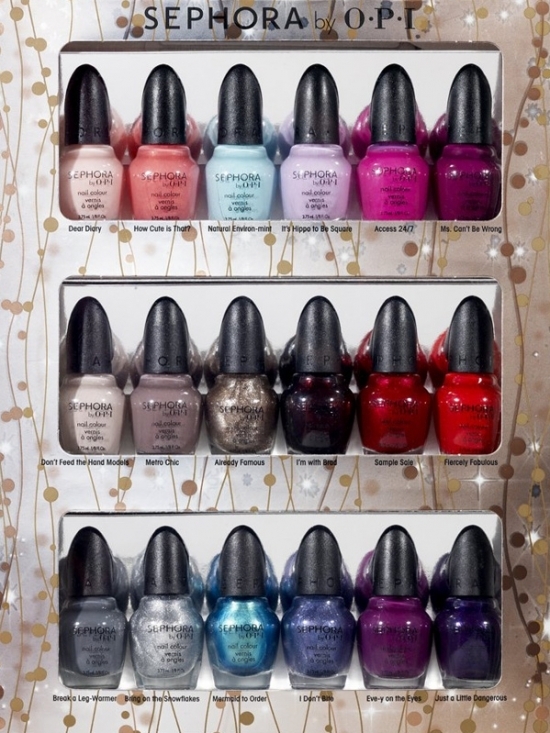 If you just love nail color, you're going to adore the newest nail polish set signed Sephora by OPI. 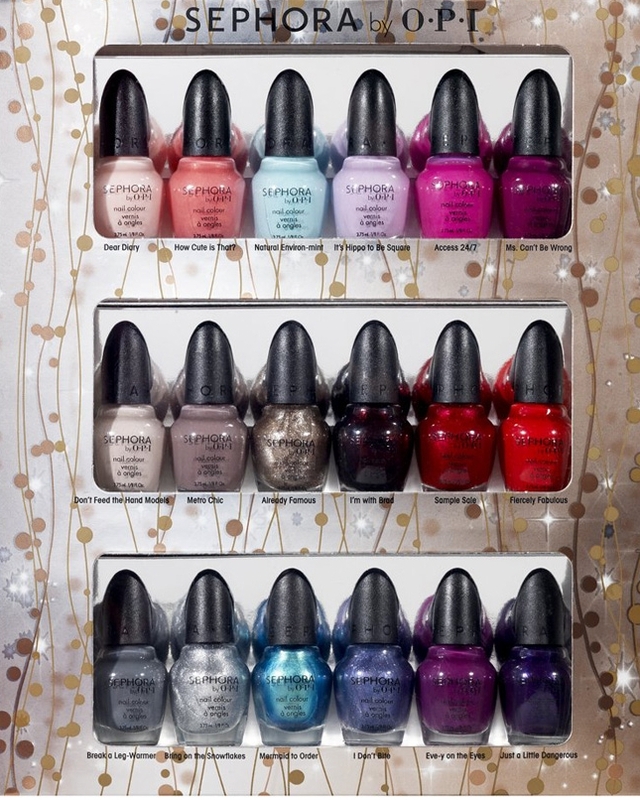 Titled Glimmer Wonderland, the mini set features all the hottest nail colors for winter and spring. The nail polish set which includes 18 fabulous mini nail polishes will enable you to make the best out of your nails by using the shades individually or mixing them up to create various nail art designs. Go for rich bright hues or tone down your look by opting for cool darks. The 18 piece mini nail polishes are classic must haves shades that every fashionista needs to own, so make your pick depending on occasion and you'll surely attract a generous amount of attention as the importance of perfectly polished nails has been long proven. Each nail varnish is chip resistant, long lasting as well as DBP, toluene and formaldehyde free, just so your nails can look incredibly hot for days in a row. Check out the nail colors featured in the collection and use your favorite hues to create endless nail art designs. Both sets are incredible and have a great price, so pick your best match and let your nails shine at any event!